With deep roots in high-performance Nissan vehicles, namely the Skyline, the Nissan GT-R is as revolutionary in 2019 as it was when it was first released in 2007. Improved aerodynamics, combined with impeccable craftsmanship, create a sports car that performs even better than it looks. 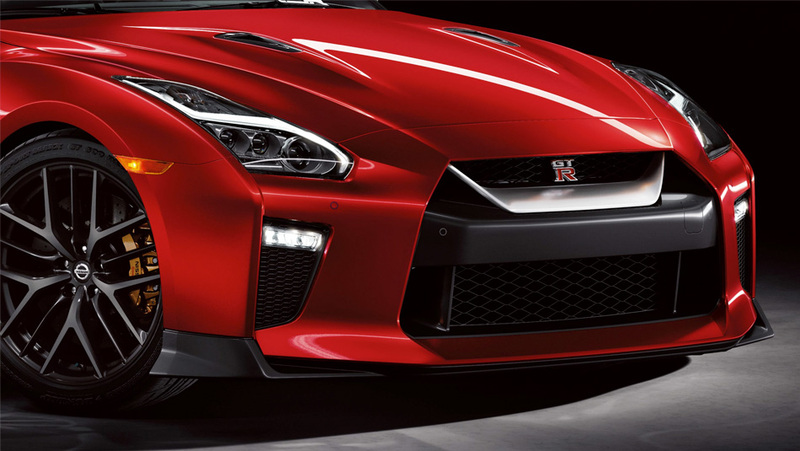 Learn more about the 2019 Nissan GT-R at West End Nissan. Everything about the 2019 Nissan GT-R is engineered to defy the laws of physics, with an exterior sculpted to cut through the wind rather than be slowed by it. A larger grille provides more cool air to the engine, while the front fascia reduces drag. The GT-R’s side skirts keep airflow away from the bottom of the vehicle, allowing it to hug every curve, while the brand new rear fascia forces airflow away from the vehicle along with the cooled exhaust. Meticulously tested from the origins of its design to its production, laser measured pieces are inspected and vibration-tested rigorously to create a vehicle that will perform at an incredibly high standard—for a long time. Of course, the Nissan GT-R retains its trademark taillights; a sight people will get used to seeing on your commute as you speed past them. The 2019 Nissan GT-R does more than fulfill one’s need for speed; the interior of the GT-R is beautifully crafted, providing a comprehensive driving experience from the moment you sit in one of the hand-selected Nappa leather bucket seats. Or, go with the available Recaro® leather-appointed performance seats for even more aggressive performance. Carbon-fibre accents provide a sporty element alongside the handbrake, offsetting the otherwise dignified leather accents of the interior. Further tying the look of the GT-R together is the elegant multi-touch screen Display Commander, which sits just right of the wheel and the beautifully crafted gauges, with an extra large tachometer and gear indicator—just in case you forgot about the GT-R’s performance capabilities in such a plush setting. The 2019 Nissan GT-R—from its athletic look, to its performance, technology, and plush and thoughtful interior—embodies everything a modern day supercar should be. If you’re looking for a vehicle that excites all of the senses, from the moment you sit in the seat to the moment you harness all 565 available horses, the 2019 Nissan GT-R won’t disappoint. Contact the team at West End Nissan to get behind the wheel of a vehicle that is equal parts beauty, and beast.